If your dog is scheduled for heartworm treatment and you want to find out more about crating dogs, how to introduce your pet to a crate for the first time and to get him used to being in it, read on! We also provide some helpful information about types and sizes and provide some examples of suitable models. There is significant controversy regarding crating dogs while pet owners are away from home. Veterinarian recommendations indicate dogs should not be confined to a pet crate for more than eight hours. However, during heartworm treatment, many veterinarians will recommend keeping your dog confined in one while you are not home. While millions of pet owners have crate trained their dogs, most pet owners leave the door open. In most cases, dogs feel comforted by being inside it when their human companions are not home. The reason stems from the fact that dogs are “den” animals. The dogs will feel relaxed and calm when they stay in their den. In addition, they have the freedom of leaving the den because the door is open. However, many pet owners do not normally confine their pet. Their pet has the freedom to move about the home. If your dog is not used to a crate, confining him to one during heartworm treatment when movement and excitement needs to be restricted, may simply cause more anxiety and stress. 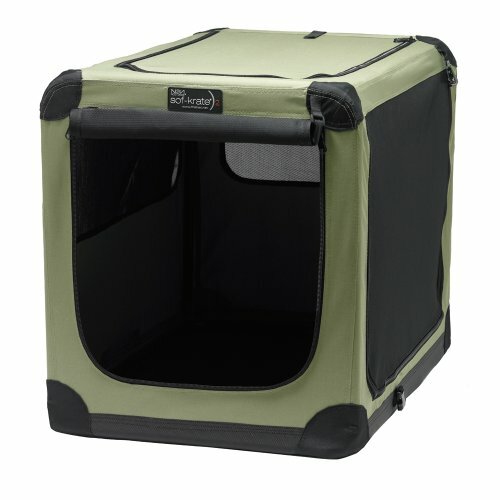 In this case, it is a good idea to take advantage of the few weeks before planned heartworm treatment to introduce him to the idea of crating and to ensure he is happy and relaxed about using it. We have given some suggestions below for choosing a model that is suitable for the size of your pet. My own dog loves his, he is a very nervous dog, having come from a rescue center. His ‘box’ as we call it, is his ‘safe haven’ when we are away from home and he asks to go inside if I have inadvertently left the door closed! Remember that it is important to leave food and water inside and place comfort items such as a favorite blanket or toy in with him – for added comfort during convalescence, such as after heartworm treatment, put in a T shirt or sweatshirt you have worn so that he can have the comfort of your smell! The short video gives an excellent introduction to how to get your pet used to the idea of a crate. 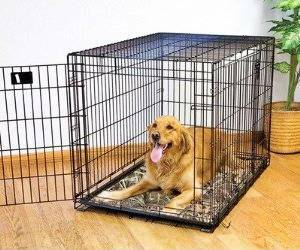 A dog crate should be large enough to allow your dog to stand to his or her full height. Your pet should be able to lie down comfortably and turn around with ease. In addition, it should have enough room for a water and food dish. If you have a dog with long or thick hair, it is best to select a wire model that will provide ventilation. For short-hair dogs, you may select a plastic one with large openings on both sides. The following are a few examples of crates that would be very suitable during heartworm treatment – or indeed if you are looking for one for more general use. The Sof-Krate is a wonderful crate that is durable and easy to use. This lightweight model is easy to move from one room to another. It is made with a heavy duty weaved mesh fabric that allows for proper ventilation. It is ideal for pets up to 70 pounds. This is an affordable carrier that sells for approximately $80. This versatile steel wire model has two doors and contains a removable bottom for easy cleaning. This model is affordable and is available in several sizes. Our image shows just one and you can view the entire Midwest iCrate Double-Door Home range available from Amazon with this link. This makes a great choice for long haired dogs or those with thick coats that need ventilation to keep cool. Midwest also makes similar models with a single door. In addition, the crate folds up for easy storage when not in use. 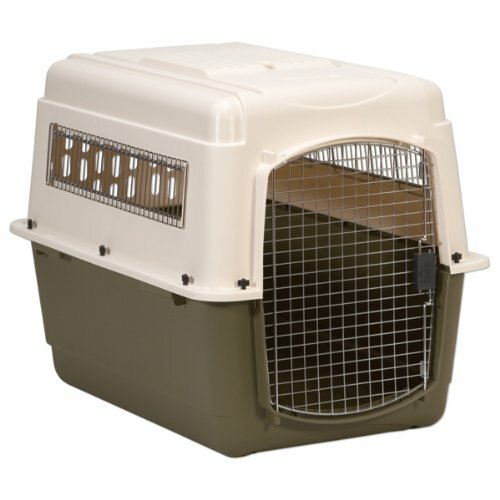 The Petmate kennel is a durable plastic kennel with ventilation windows on each side. It is available in sizes for small to extra large dogs. The kennel is heavier than wire kennels; however, it is light enough to comfortably move it to another location. 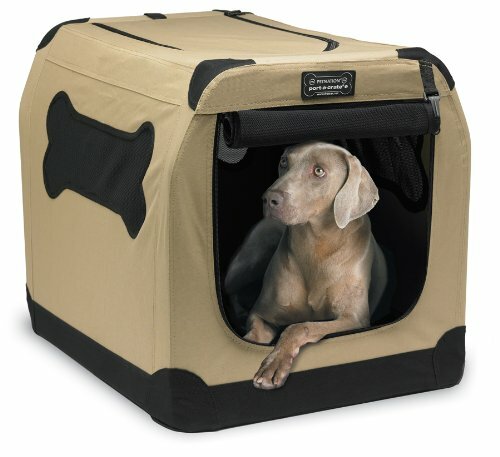 This kennel also meets the kennel requirements of most major airlines should you travel with your pet. It is more expensive than the wire or soft kennels. You can expect to pay at least $135 for a kennel of this quality. The image shows just one size of this kennel – to view the entire Petmate Vari Kennel range available from Amazon , please use this link. For under $50, this is a great choice for pet owners who need to confine their pet during heartworm treatment. It is affordable, durable and will keep your pet comfortable while you are away. It has a steel frame to support the soft mesh fabric panels. It can be used for dogs up to 70 pounds. In addition, it can be set up in seconds since you simply have to unfold it – and if you need to store it away after use, it can be folded up for easy storage just as quickly. The most important aspect of choosing a crate is the size. For many pet owners that have to confine their dogs during heartworm treatment, price may be a factor. If you normally do not confine your pet and only need the crate until the heartworm treatment is complete, you may want to select an inexpensive model. Dog crating need not be expensive and many of the models under $70 are sufficient and safe to use during heartworm treatment.